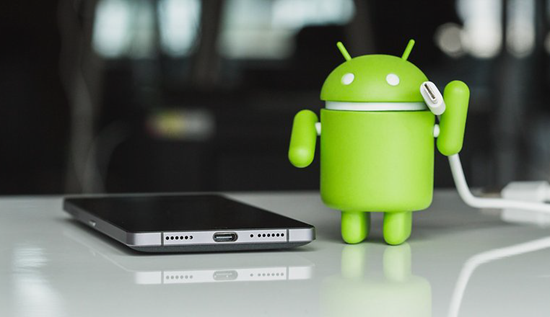 Home > Android Tips and Tricks > What to Do If Your Android Phone won’t Turn On or Charge? What to Do If Your Android Phone won’t Turn On or Charge? Smartphones, have they become a lifeline of the people needs, as 25% of the people are always connected to the digitized world of the influential technology “Internet.” The increased use of Smartphones among the people has increased in the fast-paced world. Technology is surely unveiling new features and add-ons to smart usage of product and services. Most of you may have heard of the Android and iOS. The Operating Systems are the backbone of mobiles. With the hassle of driving the innumerable needs of mobile and be stagnant, technology has surely benefited us in remaining closer and closer. Q. Why is my Android not charging? Q. How to fix my Android phone won’t turn on? Q. What the issue of the batter falling quickly? Yes, the situation is worse, when one comes up with such questions and nobody is interacted with having the halt button in life. But the thing is that your phone takes too long to charge, at least longer than the time you’ve seen your friends need to charge their phones. Somewhere it is possible that your phone or charger isn’t actually the problem at all, but rather the power output, you’re trying to charge for. If you’re trying to charge from broken spot, look for the proper working spot. Some computer peripherals charging spot of computer/laptop can be useful too. USB charging can be an option with the computer and wireless peripherals. An expert or the Android Professional might suggest the best solution for this Android charging problem. Android Phone is not charging? Find out what is using the juice. Look for the cable grip and cuts. The vulnerable point is the loosing of the inner wires. Experts always look for flexing and curling, regular use of the cables will lead to wear and tear which is almost inevitable for any charger. If you are using a USB cable to charge the phone, then try a different cable and if your phone charges fine on the other one, then you know the issue lies in the cable you are using. Physical damage is the most observed case. In the hassle of complaining about the fault in the phone, it’s better to check the adapter too. Quite a few users realized that it wasn’t the Android phone, but the adapter of the charger which was faulty. Checking the adapter can be easy if the charger is made of two sections – the adapter and the USB cable. When you plug and unplug the USB cable quite a few times from the adapter, there is a possibility that you have loosened the USB port on the adapter which may be creating the problem. Check if your charger and cable work the same way for charging other devices. This will help you understand if the charger is faulty or the device. The fluctuation is part of life. Be attentive with the mobile phone charging too. Sometime your charging spot may show unusual issues. Also, if you use a laptop to charge your Android, try plugging in the USB cable to different ports. It may work better when you change ports. Or, you can use a power bank option. Sometimes, your Android phone is unresponsive when it is plugged into the charger and all your phone needs is a restart so that it can show that your phone is charging. Power off your phone using the Power button and wait for 5 seconds before you power it on again. Read this tutorial to know how to reboot Android without Power button. A soft reset can often achieve what a restart may not have been able to fix. You will not lose any data when you soft reset your phone so you will not have to go through the process of backing up the files. One should avoid the back application running. The speed at which your phone charges can change tremendously if the background apps running on your phone is closed. Your phone’s overall battery life is greatly influenced by these background apps. So these are the 7 tricks that can help you fix the Android not turning on/charging issue. Do you have any other recommended methods? Share with us! How to Turn On Android Phone Without Power Button? Samsung Stuck on Odin Mode? How to Exit?